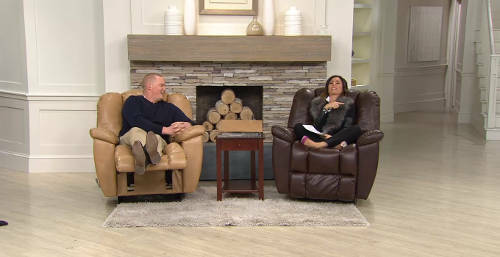 The classic rocker chair is well known and loved by everyday Americans. It is a representation of classic furniture and early-style home decoration. Having a rocker on the porch was common in small towns and suburban homes. The classic wooden look is remembered with cool night breezes, simple summer days, and vintage houses. Through the years, we have seen the development and change of classic-style rocker recliners to contemporary recliners. This has brought forward a new line of chairs that are truly some of the best rocker recliners to date. Nevertheless, not all the rockers being produced today capture the craftsmanship of the original rocker. They lack elegance and creativity in their designs and functionality and comfort in their structure. 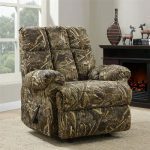 To help readers avoid these types of chairs we will discuss what to look for in the top rocker recliners. 1) Reclining Angles: It is important to know the full-recline of your rocker. This will help you determine if it will fit in your room or not. You will also want to keep in mind that as you are rocking back and forth and you could potentially hit the wall or other furniture. 2) Padding: The preferred density and padding is different from person to person. Popular brands like Simmons, Catnapper and Coaster all use a base density and structuring for most chairs. 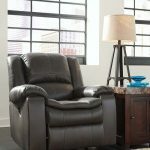 It is still important to look at a selection of recliners to have a variety of support options. 3) Sound Structure: One of the worst things is when you are rocking and find an incredibly annoying squeaky noise coming from your recliner. Boy oh boy, that can get under your skin! Buying a rocking chair with solid structure will guarantee that you do not have these issues. However, if you have an old recliner you can apply oil to make sure that it remains intact. 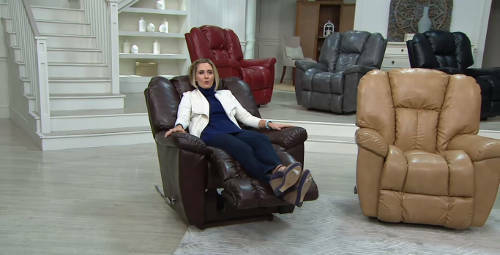 4) Additional Features: Although this one is a bonus, it is great to find a nice leather recliner with massage, heating and gliding features to accompany the rocking. 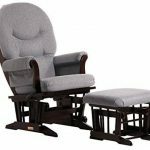 These features are great bonuses, but they do not make or break the comfort and reclining of rocking chairs. 5) Purpose: What is the purpose of buying this chair? Every recliner is a perfect product for someone and something. However, a recliner from the wrong collection or purpose can ruin your perception. Do you need a rocker for your nursery room? Or is it for your living room? Make sure you match your needs with the right recliners, not your wants. We are constantly putting our backs under stress from our lifestyles. Whether we are sitting for long hours at our desks or on our feet exercising, we need to take better care of our backs. 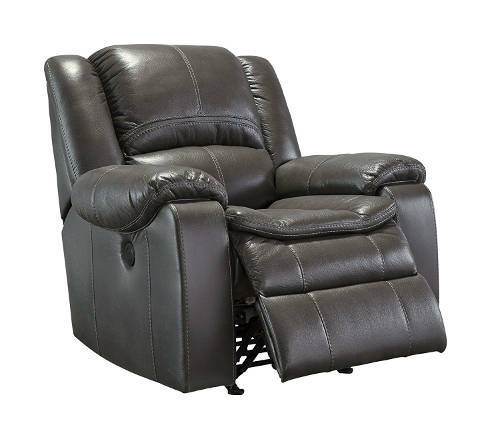 A rocker recliner can help in reducing swelling, aches, pulled muscles, and injuries. It is vital that new mothers have intimate moments with their newborns. This helps develop the relationship between a mother and her child. And one of the most natural motions for a new mother is rocking. 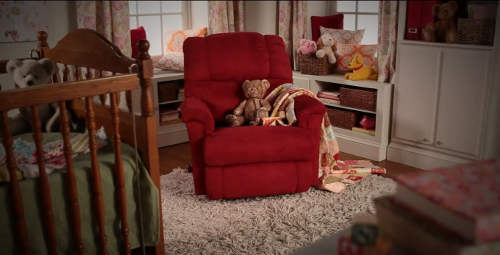 While trying to get a baby to go to sleep or simply spending quality time, a rocking chair can not only help with feeding, but also with intimate bonding. When you put your feet up with a recliner you improve the flow of circulation within your body. This allows you to breathe easier and reduce stress. By elevating your legs you put your body in a state of relaxation and help limit any head, neck, leg, and joint pains you may be having. Reviews of the Long Knight Power Rocker highlight its leather esque touch and clean design. 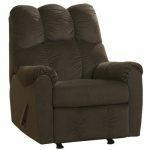 Detailed with distinctive stitching, flowing lines, and subtle curves, it fulfills the requirements of any beautiful recliner. Few contemporary chairs combine elegance and functionality as well as the Long Knight. 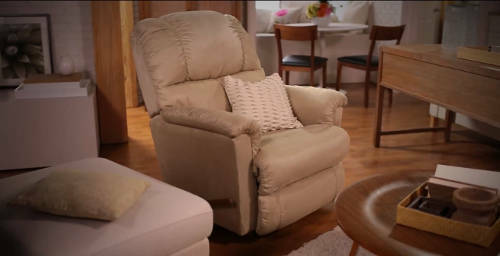 Stress-free to operate with a touch of a button, Ashley Furniture puts you in recline mode effortlessly. Extra wide arms are positioned, allowing the upper torso to feel relaxed and support. And the extra padded layering that gently covers the cushion seat is aesthetically sumptuous and comfortable. Ashley Furniture upholstered the Long Knight in cool and soft to touch polyester/polyurethane. Adding flare to any room is what allows this collection to continuously thrive. It is structured with a corner-blocked frame along with a metal reinforced footrest and seat. The ultra-plush neck and head support also allows users to rock and recline in comfort for hours. The Dorel Living Camouflaged Rocker is wildly popular because of its fun design. But, the reason this rocker made our list is because of its functionality, not design. 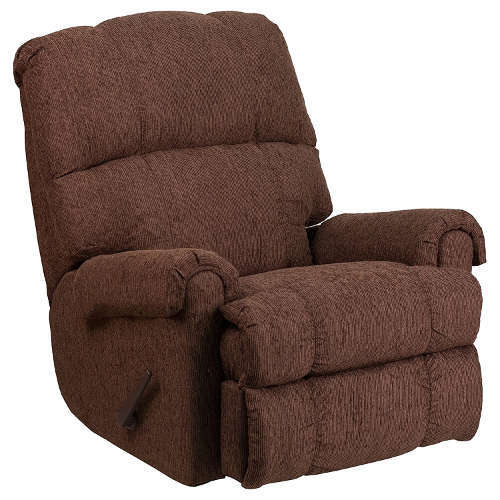 It’s smooth in its rocking, easy to recline, and features durable upholstery. These factors make it the perfect gift for a father, brother, or anyone who loves nature. More so, it easily fits into any cottage or cabin living room and den! Upholstered with a beautifully authentic and creative real tree fabric, Dorel were able to use this chair to seduce any nature lover, outdoor sports enthusiast or artist. 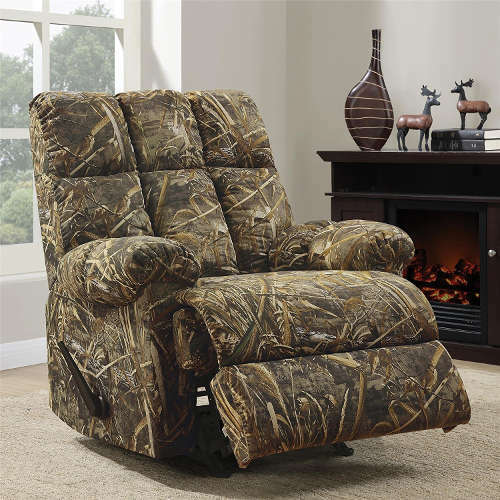 This camouflaged recliner uses a solid frame and foam seating for the utmost durability and comfort. 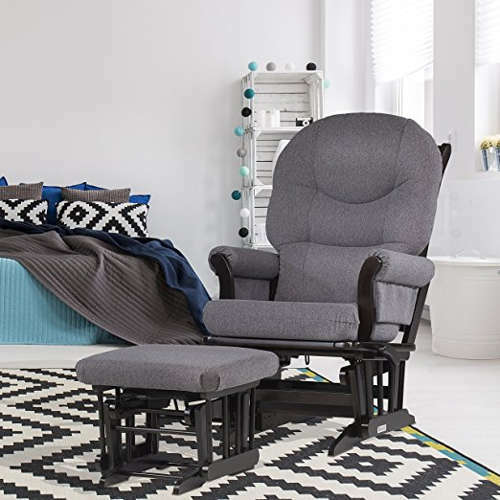 It also features superior coil seating that is accompanied with an easy-to-use lever release and completely upholstered chair pad to adequately support your knees and legs. Dorel continued to impress us by including a sewn-in back and seat cushions that make it easy to kick your feet up, watch television or take a nap. Rockers have a timeless tradition to them that connects many different aspects of life. One of those rocking experiences is that of a mother rocking her child to sleep. 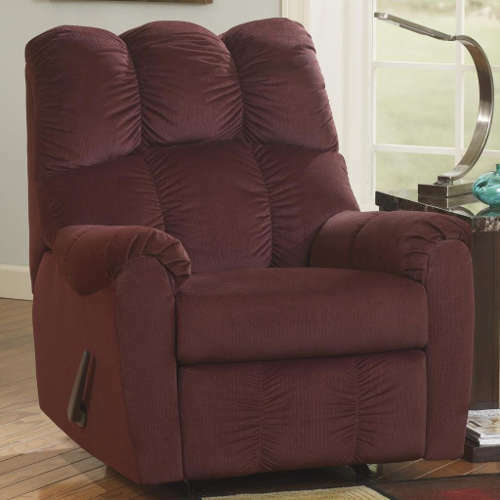 The Dutailier recliner is the perfect combination of classic rockers and contemporary recliners. 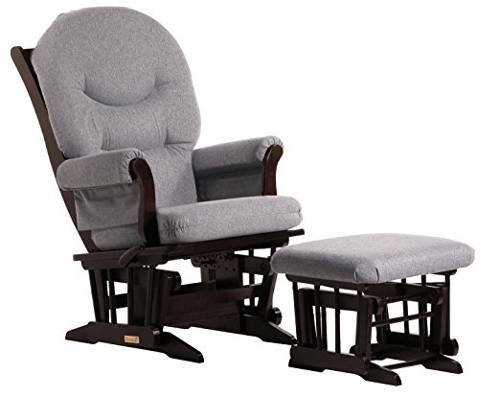 The Sleigh Glider and Ottoman provides increased gliding and smooth motions that everyone loves. To take care of your upper body, thick cushions and padded arms allow you to sit for long periods of time without feeling any elbow, wrist or leg pains. The frame is constructed from top quality hardwood that is able to endure constant rocking. A patented multi-position mechanism provides users with 6 different positions and allows them to lock the glider. Finally, the ergonomic design offers unlimited positions, an adjustable back, and no sharp edges. 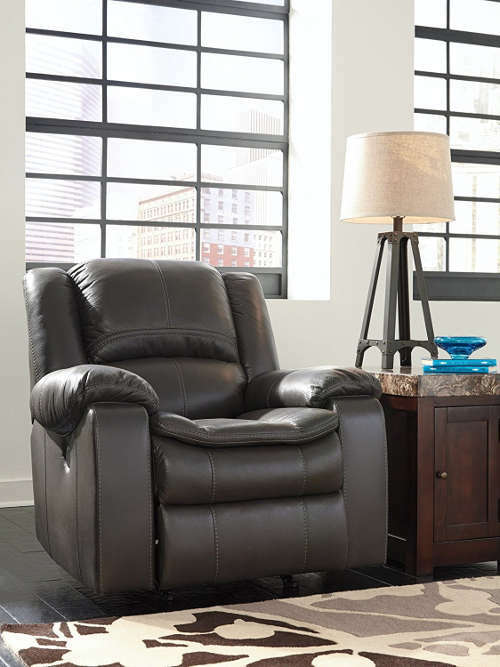 With a beautiful platinum sleigh color and clean espresso and toxic free finish, the Dutailier is easily one of the best crafted rocker/glider recliners. Completed with full plushness, the Raulo Rocker looks and feels extra comfy. The padded arms and divided back are covered in soft fabric and you can choose a variety of colors. 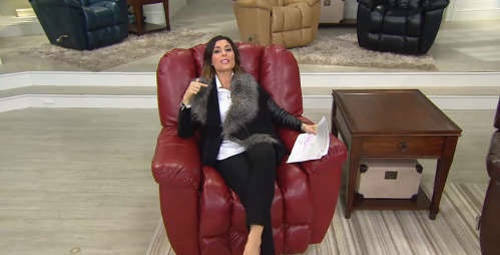 To be specific, Ashley Furniture offers the Raulo in 4 different colors. We were most happy with the 1-pull reclining tab because of its convenience and fluidity in motion. It didn't stall nor did it require excessive force to pop the footrest up. Lastly, customers reported that the firm back and seat cushions were supportive and comfortable at the same time. This allowed users that were of greater height (6'5) and weight (250 lbs.) to comfortably use the rocking feature of the chair. Made with comfort in mind, the Flash Furniture Chenille Rocker is an excellent example of simple, but contemporary upholstery. Built for the average sized person, it easily competes with the best rockers because of how it is structured to fit the average American comfortably. The plush pillow back and rolled arms cuddle the inside of your body as you relax and read your book, watch a movie, or sit with the family. It also includes no-sag sinuous springs to make sure you have years of comfy seating and rocking. The lever is placed in an easy-to-reach position and is less-strenuous than lifting a piece of paper. 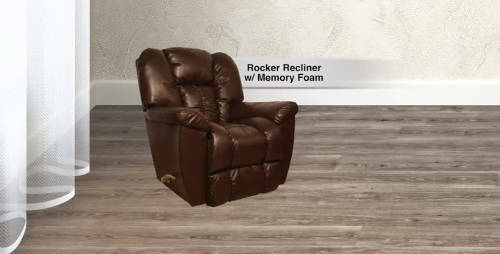 In our opinion, the best part about this rocker is the chocolate chenille upholstery. It is beautiful, super soft, and soothing for new mothers and the elderly. Final Thoughts - Pay Attention to the Frame! Most people believe that the moving parts on a recliner are the ones that tend to break, that is not the case. The non-moving parts of a recliner actually break more than the moving parts. That leads to the question, what should I look for? The #1 part of a recliner that takes the most damage is the frame. 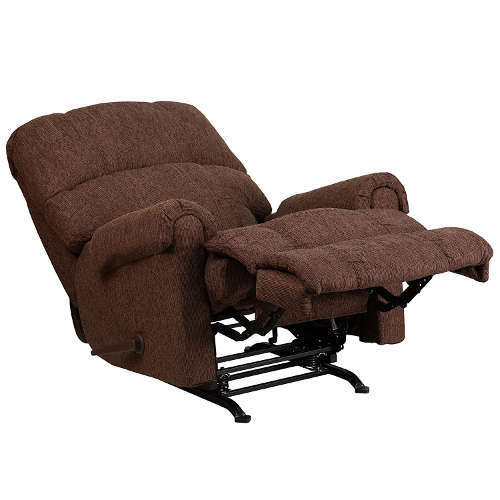 When you shop, you should look at the reviews to see what customers say about the recliners frame. The best rockers will be constructed with heavy-duty screws and hardwood in the frame. Chairs made from soft, plastic and flimsy screws will easily break off and destroy your frame. This is especially important in recliners that are constantly rocking. Furthermore, do not fall for fake descriptions that write "strong press board frame", these chairs are low-quality and will not be able to handle the back-and-forth rocking motion. A great recliners frame will be constructed from hardwood or plywood, such as poplar or birch, which will cost more than the standard. However, that is what you have to pay to get premium rocking recliners. Finally, look for recliners that offer a minimum 1-year warranty for any malfunctioning parts. Brands that have belief in their products will have no problem offering this.